Specialists know it pays to be able to recognize Central Asian head gear. One ingredient is those worn by Khirgiz women, easy to recognize, viz., these two photographs. 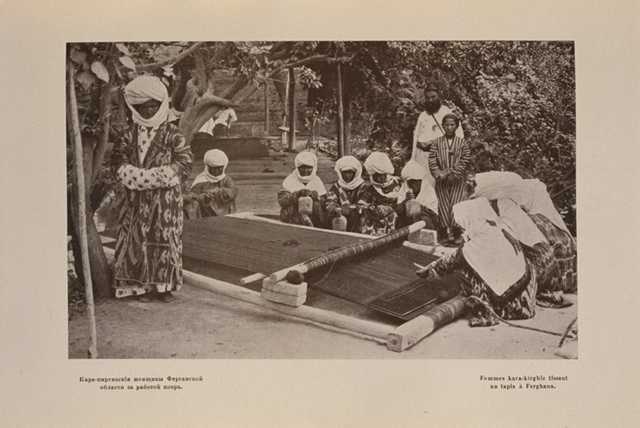 The one with the loom (c. 1900) makes it possible to get a look at a Khirgiz carpet, the ladies involved are labeled kara khirgiz. A little context is useful in this regard. The pre-revolutionary Russian travel and rug literatures have a quirk in frequently referring to Kazaks as Khirghiz. R. Karutz, for example, spent many happy days (1st decade, 20th c.) among “Khirgiz”, all Kazaks. Received wisdom has it that the term Kazak was not used in order to avoid confusion with Cossack, a group close to the Russian experience. Perhaps. But not all accounts got it wrong; Nash Sociedi ... (1873) had it straight; other sources salvaged matters with hyphenation or the prefix kara . The sovietization of the area imposed a somewhat phony set of ethnicities which ended the mislabeling. Some of these spellings slither around. Ashkhabad (now Asgabat) has its variations; so too does Khirgiz. Semenov, A., Kovry Russkago Turkestana, in Etnograficheskoe obozrenie, 1911, No. 1—2, pp. 153—155. 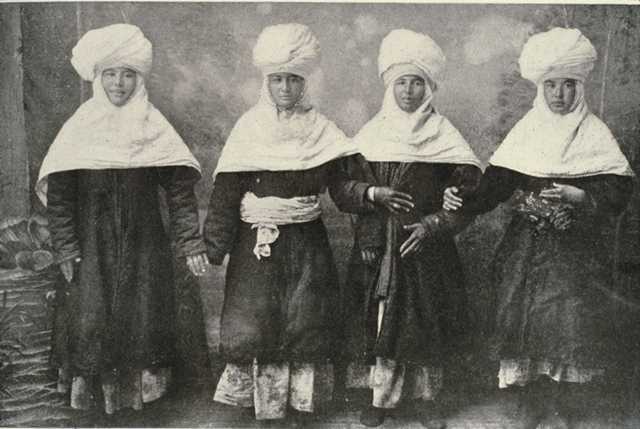 Tumanovich, O., Turkmenistan i Turkmeny, Askhabad, 1926, p. 25.